Congratulations to Katherine and Halie, who came in third place in their age brackets. Congratulations to Katy and Alejandra, who came in second place in their age brackets. Congratulations to David and Emma, who came in first place in their age brackets. 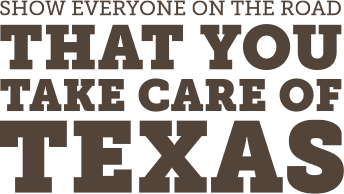 Check out these winning videos from the first annual Take Care of Texas Video Contest! A fun way for students in the 6th - 12th grade to learn about the environment.